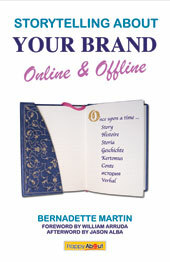 Storytelling about Your Brand Online & Offline � Read this if you want to impress someone with your bio and your story. Bernadette Martin, Founder of Visibility Branding, LLC is a certified Personal Brand Strategist, Speaker and Author. Expertly fusing branding with storytelling to help people and corporations strengthen their brands, has earned her the title of "Storytelling Sage." Following an MBA and a 15-year international career working with Fortune 500 corporate brands, Bernadette's transition to personal brands was natural. It meshed perfectly with her intuitive nature, entrepreneurial spirit, desire to work virtually and live in the two cities that inspire her most -- Paris and Seattle. Ever enthusiastic about optimizing the power of 2.0 technology to support her "virtualosity," she works with clients and creative teams around the world, conducting online webinars, interviews and training on career development, personal branding and storytelling. Be ready when, with genuine interest, she asks you..."So, what's your story?" 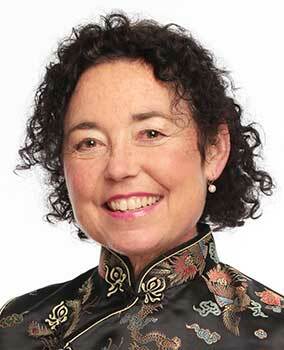 "In her book, Bernadette Martin, the "Storytelling Sage," expertly fuses personal branding with storytelling to help people and corporations access their most compelling stories to strengthen their brands." As neurological research confirms, storytelling is a powerful communicative tool. 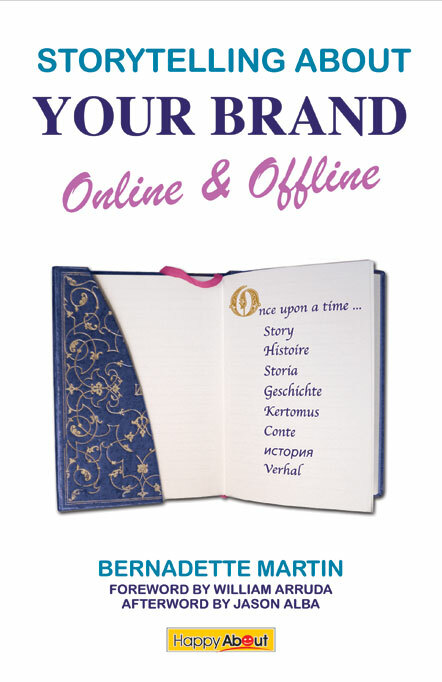 In her new book, Personal Branding Strategist, Bernadette Martin demonstrates how stories have transformed corporate images as well as professionals' careers. From Storytelling 2.0 or Digital Storytelling, to interviews with experts to the Branded Bio tool, Martin guides you in developing your own compelling story and then covers the gamut of online and offline opportunities available to reach your target and impactfully market the "Brand Called You." Using this book, professionals and executives of all types, entrepreneurs, consultants, musicians, academics and students will undergo a "personal branding process." Uncovering, clarifying and communicating what makes them unique, understanding their attributes, strengths, values and passions, they'll craft the stories that give new life to their careers, finding the most persuasive ways to tell them. Beginning with crafting the BIO, a "must have" in your Brand Tool Kit, readers will develop essential components to integrate into their verbal, written and visual messaging, to build their personal "brands." Let over 50 BIO references, 15 interviews with authors, thought leaders and recruiters, three exemplary case studies, a BIO "makeover" and a multitude of BIO "Gems" (excerpts that create memorable, captivating touch points that make you come "alive") help you discover your story, and positively impact your career. What is the difference between a BIO and a RESUME? How do I develop storied content to write my BIO? What are the essential elements in the Career Personal Brand Tool Kit? What can a BRANDED BIO do for my career? Where can I get the most impact with my BRANDED BIO online and offline?